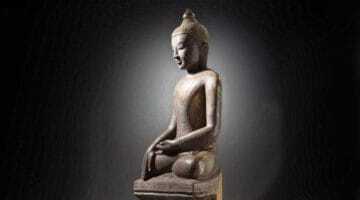 The historical Buddha said many things in his long lifetime of teaching. But have you ever heard a supposed Buddha quote and wondered, Did he really say that? Monk Thanissaro Bhikkhu, a trained translator of the Buddha’s words, certainly has. Here he reveals seven of many he’s found. See if you’re not surprised. Life, you’ll notice, isn’t on the list. 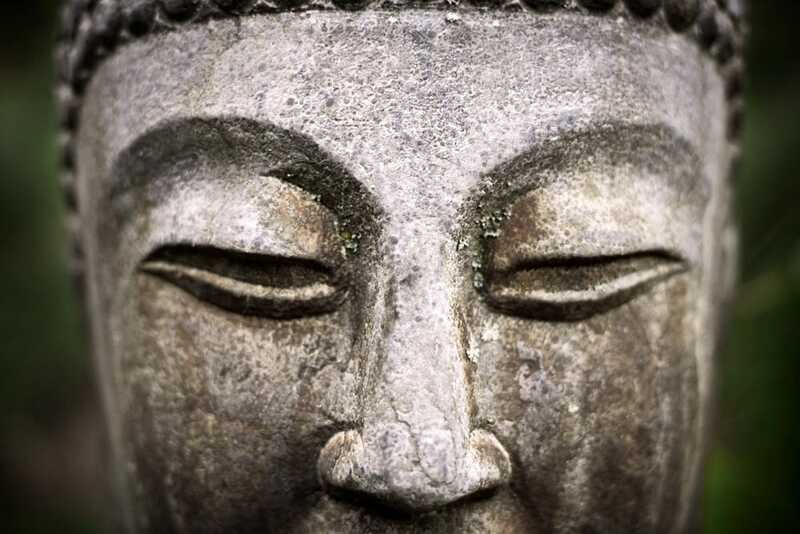 The other noble truths go on to show that there’s more to life than just suffering: There’s the origination of suffering, the cessation of suffering, and the path of practice leading to the cessation of suffering as well. I saw this on a card attached to the mirror in the bathroom of a home where I was teaching once. It’s so unrelated to anything the Buddha said that I have no idea of what the original inspiration might have been. The Buddha never said that “There is no separate self” either. He declined to get involved in the issue of whether any kind of self exists or doesn’t exist. These two misquotes tend to go together. If everything changes, then the only way you could escape from suffering would be to accept that all happiness is impermanent and stop trying for anything more lasting than that. A pretty miserable message. 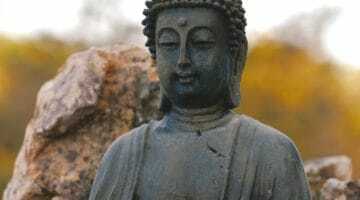 Fortunately, the Buddha said simply that all fabricated things are impermanent. Anything perceived through the six senses is fabricated, in the sense that it is shaped by conditions, both external and internal. As the Buddha said, nirvana is the ultimate happiness (Dhammapada 203)—free from change, free from death, free from all limitations. That’s why he taught the path: so that people can find an unconditioned happiness. If his message had been, “Hey, there’s no lasting happiness, so give up thinking about it,” it wouldn’t have lasted all these years. As for the second misquote, the Buddha actually said that people suffer because they identify with things that change. 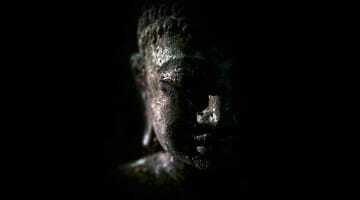 When the mind is strong enough that it doesn’t need to identify with anything, that’s when there’s no more suffering. On this point, see Samyutta Nikaya 22:1. This idea turns karma into something very simplistic and deterministic. It’s what I call the “one karmic bank account” theory—the idea that your present condition shows the running balance in your karmic account: the sum total of all your good actions, minus the sum total of your bad actions, equals what you’re experiencing right now. Instead of a single bank account, the Buddha compared your past karma to a field of seeds: Some seeds have already sprouted, some are not yet ready to sprout, and as for the ones that are ready to sprout, those that get the most water with the best chance of flourishing. This means that, even though you can’t go back and change the seeds you’ve already planted, you do have some control over which seeds you’re going to water. In other words, your present condition shows only a sliver of your past actions; your present actions influence the extent to which you’re going to suffer over that sliver or not. This quote is popular among people who write fund-raising brochures—even though they want your money, and don’t necessarily care about your happiness. It’s a nice sentiment, but there’s no record of it among the Buddha’s words. The closest he gets to a sentiment like this is in Anguttara Nikaya (“The Numerical Discourses of the Buddha”) 10:177, where he says that when you make merit and dedicate it to your dead relatives, then even if those particular relatives are not in a place — the realm of the hungry ghosts –- where they can receive that merit, the merit isn’t lost. Others among your dead relatives who are in that state will partake of it—and you can be assured that at least someone among your relatives is there. Not a suitable quote for fund-raising brochures, but something worth keeping in mind.